A Star Is Born. It’s a story that’s been around for 81 years (the original was released in 1937), with three different incarnations in very different eras. 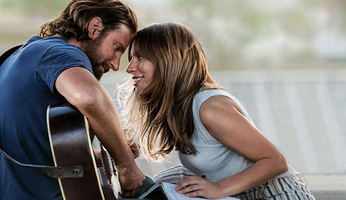 The latest version stars Bradley ‘Rocket’ Cooper and Lady ‘Goo Goo’ Gaga, and is generating serious Oscar buzz. Great review. Bradley Cooper is deceptively talented. I could listen to Sam Elliott read the local newspaper and it would be compelling/comforting.